Macro-regions of the world. New regional geography / Monograph / / Jiří Anděl, Ivan Bičík, Jan D. Bláha / / 2019 / 326 s.
Abstract: The publication seeks to improve regional geographical knowledge by means of geographical synthesis. This knowledge is a gateway to understanding both domestic and world events for university students, as well as the community of experts. At the moment, there are relatively high-quality publications about individual countries or continents and a large amount of data available on the Internet. Nevertheless, in Czechia there is no publication which would give a coherent overview of the current state of the globalising world by evaluating world macro-regions and several "representative" countries in each of them. Flood risk mitigation as a social practice / Monograph / / P. Raška, P. Dostál, T. Siwek, T. Aubrechtová, J. D. Bláha, L. Jelen, M. Kopáček, L. Slavíková, M. Stehlíková / / 2018 / 244 s.
Selected Topics in Geographical Cartography / Monograph / / Jan D. Bláha / / 2017 / 160 s.
Abstract: The purpose of the publication is to provide readers with a basic overview of areas and topics in geographical cartography and their connection to contemporary digital cartographic creation, usually carried out via geographical information system. For this reason, this publication does not aim to be a substitute for the standard university textbooks. For that matter, the publication is not a classical textbook, even though it might be a support to students when preparing for a university course exam. In addition to the above mentioned, the book will provide the reader with selected principles of map creating in ArcGIS. Od Karlova mostu ke Gottwaldovu. 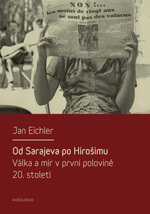 Osobnosti v názvech měst a míst / Monograph / / Lenka Křížová, Jiří Martínek et al. / / 2017 / 226 s.
Abstract: Mezi toponymy, jmény objektů na zemském povrchu, které bývají kartograficky fixovány v mapách, tvoří specifickou kategorii ta, jež se vytvářela na základě osobních jmen. Předmětem výzkumu se z nich zpravidla stávala a stávají toponyma honorifikační, zvolená na oslavu významných osobností. Užívání a důvody k udělení se však v průběhu času měnily, stejně jako typy pojmenovávaných objektů; nicméně v každém případě zůstaly a zůstávají významným svědectvím (nejen) minulé doby. Studium honorifikačních toponym nav íc dnes představuje styčný bod mezi řadou disciplín: historií, biografistikou, geografií či onomastikou. Předkládaná publikace tak i proto v řadě kapitol nabízí široké spektrum pohledů a možností, jak k dané problematice přistupovat. Conditions of Fieldwork / Monograph / / M. Soukup, J.D. Bláha, M. Konopíková, L. Moulis, P. Onderka, L. Škrabáková / / 2016 / 112 s.
Abstract: The objective of the book is the exploration of a diversity of conditions of fieldwork in non-European locations. The chapters of the book demonstrate that the conditions of a fieldwork differ considerably in terms of environmental circumstances, natural risks, dangerous creatures, character of the local communities and the way of life in the countries where the authors conducted their particular research. The aim of the book is to give a vivid image of real conditions of fieldwork in selected places of our planet. Abstract: Das Ziel dieses Beitrages ist es, ein Instrument für die Bewertung von sowohl fachspezifischen regionalen Geographie-Lehrbüchern als auch allgemeinen Texten, die den geographischen Raum und seine Teile präsentieren, vorzustellen. Dieses Instrument wurde „Karte der Frequenz von geographischen Namen“ genannt. Die Möglichkeiten und Grenzen dieses Instruments werden am Beispiel des Vergleichs der Gebietsrepräsentation der Region Nord-West-Böhmen in tschechischen Geographie-Lehrbüchern für Grundschulen aus verschiedenen Zeitperioden demonstriert. So wie die Geographiedidaktik als eine wissenschaftliche Disziplin an der Schnittstelle von Pädagogik, Didaktik und Geographie steht, vereint das Instrument „Karte der Frequenz von geographischen Namen“ die traditionellen methodischen Ansätze von pädagogisch-didaktischen Lehrplananalysen mit Methoden der kartographischen Visualisierung und mit einer geographischen Betrachtung des Raumes. Autoren und Autorinnen von Geographie-Lehrbüchern verwenden bei der Präsentation und Beschreibung von Teilen des geographischen Raumes eine spezifische Art von Fachbegriffen – die sogenannte geographische Namenkunde. Geographische Namen sind mehr oder weniger stabile Begriffe mit einer inneren Bedeutung, die eine bestimmte Vorstellung (Image) der Orte und der Gebiete implizieren. Durch ihre Verwendung tragen wir dazu bei, diese innere Bedeutung zu verbreiten und auch eine Beziehung anderer Menschen zu den Orten und Gebieten zu herzustellen. Verschiedene soziale Weltsichten betonen unterschiedliche Werte und schätzen verschiedene Teile des geographischen Raumes; deshalb verwandelt sich im Laufe der Zeit auch die Präsentation der Orte und der Gebiete. Durch die „Karten der Frequenz von geographischen Namen“ gewinnt man eine Vorstellung von der räumlichen Ausgewogenheit bzw. Unausgewogenheit der Präsentation der dargestellten Gebiete, also von der Bevorzugung bestimmter Gegenden vor anderen und einer vorsätzlichen Hervorhebung oder Außerachtlassung von bestimmten Aspekten oder Merkmalen des Raumes. Abstract: The chapter deals with changes in spatial organization of elementary schools and with adaptability of population in crucial periods of development of elementary schools network in Czechia during the 20th century till today. The stress is put on rural space. The aim of the chapter is on one side to identify the key factors, that disturb the resilience of spatial organization of education and the adaptability of rural population, and on the other side those factors, that strengthen the resilience and adaptability. Abstract: What is so specific about these atlases? Above all, they summarize land use and cover changes papers from different countries, studied with various methods. Thus, the atlases enable international contacts and publicity of research results as well as they show new and original methods and approaches in land use research. They also provide an essential possibility of publication in larger format; papers usually cannot be printed in such an extent in scientific journals. The atlases offer an equal extent of text and graphics, and there is also a possibility to publish full-colour maps and figures. Coloured maps facilitate better perception of various analysed land-use categories, their development and other features. Volume VII includes eleven papers altogether (ten from Czechia and one from Slovakia); however, the first seven papers make a whole with general introduction plus six case studies from Czechia. Abstract: The contribution is a tribute to Czech Univ. Prof. Karel Kuchař and reminds us of the 35th anniversary, counted from his last public lecture named Aesthetics of Map Production. Unfortunately, Prof. Kuchař was not able to elaborate the issue of aesthetic aspects of cartographic production in further detail. The aim of this contribution is to categorize and summarize this knowledge. The first part mentions the traditional, and we can also say never-ending, discussion on cartography and early maps being a form of art. It is followed by a summary of aesthetic aspects of (not only) early maps (map format, sheet composition, use of space, shapes of map fields and structure of outlines, form of compositional elements, map contents, cartographic language, thematic cartography methods, use of colour and font in maps, author’s style and handwriting). Finally, several pieces of evidence are offered confirming that “early maps” and “computer map production” are not incompatible. Abstract: Kniha je určena širokému okruhu tvůrců i uživatelů map a atlasů, a to nejen tematických. Systematicky utříděné poznatky napomohou nejen kartografům, ale především geografům, geologům, klimatologům, hydrologům, ekologům, architektům, stavebním inženýrům, geodetům, urbanistům a mnoha dalším odborníkům při tvorbě kvalitních tematických mapových děl. Abstract: To create valuable output, people must learn from mistakes, learn to evaluate the results of their work and, thus, not to repeat their mistakes. There are many ways of assessing products arising from human activity, i.e. cartographic works as well. Verbal assessment (reviews, references) is the most common one. It usually includes the list of positive and negative aspects of the product, or a multi-criterion assessment containing a system of value parameters of the work, usually numerical. This assessment is usually done by more or less experienced experts. What does the user think, though? It is desirable to find an adequate way of assessment assisted by the user. It is the user who is the ultimate recipient of the product. Apart from standard sociological approach using questionnaires, surveys or managed interviews, there are possibilities with high independence potential in the area of potential semantic differences in the researcher´s and the respondent´s perception. These are represented by various tasks given to individuals or groups concerning cartographic works or an analysis of user mental maps based on the users’ experience with cartographic works. Testy 18. ročníku Zeměpisné olympiády 2015/2016 / Textbook / School Text / / J. Bartoš, J.D. Bláha, V. Dumbrovská-Marianovská, J. Hátle, L. Hellebrandová, J. Jelen, S.R. Kučerová, M. Lepič, M. Šobr, L. Vejrostová / / 2017 / viii+318 s.
Abstract: Zeměpisná olympiáda (dále též ZO) představuje geografickou zájmovou činnost, která by měla pomoci rozvíjet myšlení a nadání mladých lidí v oblasti fyzické i humánní geografie a kartografie. Je také nástrojem propagace a šíření geografického myšlení a geografické gramotnosti ve společnosti. Tato publikace předkládá v souhrnné podobě zadání a autorská řešení všech úloh, které vytvořil tým pod vedením organizační garantky ZO, Silvie R. Kučerové, pro 18. ročník soutěže ve školním roce 2015/2016. Testy 16. ročníku Zeměpisné olympiády 2013/2014 / Textbook / School Text / (only in Czech) / Jan D. Bláha, Jan Hátle, Libor Jelen, Jan Kabrda, Silvie R. Kučerová, Miroslav Šobr / / 2016 / vii+289 s.
Abstract: Zeměpisná olympiáda (dále též ZO) představuje geografickou zájmovou činnost, která by měla pomoci rozvíjet myšlení a nadání mladých lidí v oblasti fyzické i humánní geografie a kartografie. Je také nástrojem propagace a šíření geografického myšlení a geografické gramotnosti ve společnosti. Tato publikace předkládá v souhrnné podobě zadání a autorská řešení všech úloh, které vytvořil tým pod vedením organizační garantky ZO, Silvie R. Kučerové, pro 16. ročník soutěže ve školním roce 2013/2014. Abstract: The aim of this paper is to create a model of Bachelor thesis as an illustration of such type of work in compliance with the requirements of the Department of Geography. This model can serve students as a guideline. In the first part we analyse the ISO 690 international standards and compile the ISO standards used at the Department, including examples of citations of bibliographic references for various types of documents. In the second part we specify the typographical rules used at the Department, with special attention given to “areas of high difficulty”, especially to punctuation. Authentic tables, pictures, maps and other frequently used supplements to texts are used for illustration. The reader is, therefore, provided with brief and clear preview of requirements for thesis writing, regarding both form and contents. Abstract: Geografická kartografie vychází ze základních pojmů jako jsou kartografie, mapa, mapový jazyk, kartografická generalizace a různých subdisciplín kartografie (matematická, tematická, topografická apod.) a v závěrečné části také GIS a geoinformatika. Studenti se vedle teoretických znalostí učí sami jednoduché mapy konstruovat a také mapy používat. Abstract: Tento kurz bezprostředně navazuje na kurz Geografická kartografie (P114, resp. P126). Během kurzu se studenti seznámí s programovým prostředím software ArcGIS 10.x od firmy ESRI jako příkladu komerčního GIS, který je v českém prostředí velice rozšířen. Studenti se díky tomu naučí základní anglické terminologii. Základní filozofií kurzu je reprezentace reality v digitálním prostředí, tj. poznatky získané během kurzu Geografická kartografie zde student uplatní v rámci digitální tvorby. Sledován je celý proces tvorby mapového výstupu přímo v GIS (od pořizování dat po jejich vizualizaci). Vedle tvorby kartogramů, kartodiagramů a dalších tematických map jsou řešeny různé prostorové analýzy a jejich použití v geografické praxi. Výstupem jsou semestrální projekty studentů, které by měly pokud možno vycházet z praxe. Na tento kurz navazuje předmět Geografické informační systémy II, který rozšiřuje znalosti a dovednosti studentů v GIS. Geografické informační systémy II / Textbook / School Text / / Jan D. Bláha, Martin Dolejš / / 2013 / 51 s.
Abstract: Tento kurz navazuje na kurz Geografické informační systémy I, rozšiřuje a prohlubuje znalosti a schopnosti studentů v oblasti GIS, zejména s ohledem na předpokládané základní zaměření bakalářské práce (především rozdělení na tři větve: fyzická, sociální geografie a geoinformatika). V průběhu kurzu budou studenti seznámeni s rozšiřujícími nástroji (extenzemi) pro analýzy prostorových dat v programovém prostředí ESRI ArcGIS. Výstupem kurzu je semestrální projekt, v rámci něhož student demonstruje získané poznatky a dovednosti z oblasti principů pokročilých analýz prostorových dat. Studenti si mohou také zapsat související předmět Geoinformatika. Abstract: Učební text určeny pro studenty 1. a 2. ročníku oboru Geografie a Kartografie na PřF UK, dále pak pro účastníky kurzů pořadaných v rámci projektu CITT Praha (viz další projekty). Úvod kapitoly: Připustíme-li, že kartografie je zahrnuta v celém geoinformačním procesu právě v podobě výstupních funkcí GIS, pak by obsahem této kapitoly měla být především vizualizace dat a vytváření mapových výstupů. Potřeba prezentace, tedy i vizualizace toho, co uživatel v GIS vytvoří, je prostě nevyhnutelná. Bohužel se GIS stejně jako ostatní produkty informačních technologií dostaly do rukou lidí, kteří nemají ani potřebné základy kartografie. Jestliže se v minulých stoletích upustilo od kresebné tvorby kartografických děl, pak přelom 20. a 21. století je dobou odklonu od analogové tvorby kartografických děl. S tím souvisí všechny klady i zápory. Na jedné straně se tím nesmírně zjednodušil, zefektivnil (počet zaměstnanců firem lze snížit) a zrychlil proces tvorby, na straně druhé každý univerzální nástroj (a tím je i GIS) vnucuje svému uživateli tzv. defaultní nastavení, které nemusí vždy splňovat a dokonce nesplňuje kritéria příslušného účelu kartografického díla. V nápovědě se uživatel dozví postupy (aneb co dělá jaké tlačítko a v jakém pořadí je třeba tlačítka stisknout), v odborných časopisech tvůrců a distributorů zase spíše čteme, jaké nové funkce aplikace obsahuje. My chceme ovšem více, my chceme spojit základy kartografie a její pravidla s nástrojem, kterým bezesporu GIS je. Abstract: The aim of this paper is to create a model of Bachelor thesis as an illustration of such type of work in compliance with the requirements of the Department of Applied Geoinformatics and Cartography. This model can serve students as a guideline. In the first part we analyse the ISO 690 international standards and compile the ISO standards used at the Department, including examples of citations of bibliographic references for various types of documents. In the second part we specify the typographical rules used at the Department, with special attention given to “areas of high difficulty”, especially to punctuation. Authentic tables, pictures, maps and other frequently used supplements to texts are used for illustration. The reader is, therefore, provided with brief and clear preview of requirements for thesis writing, regarding both form and contents. Abstract: The aims of the research are: a) to identify lower secondary pupils’ preferences for visuals in geography textbooks, b) to design a prototypical textbook chapter accompanied with prototypical school atlas maps (based on evidence-based recommendations and reflecting pupils’ preferences), c) to evaluate the proposed educational materials using a sample of 20 lower-secondary school pupils. The methodological framework is anchored in Design-Based Research. Content-specific recommendations for textbook developers were identified which are transferable to different topics across geography curriculum. Abstract: Geographical didactic aids traditionally contain a large number of visuals. Unfortunately, authors of didactic aids are not able to ensure adequate usability of visuals sometimes. The evident example is simple illustrative function that prevails over the didactic one. The other problems could be named that many visuals are inadequate relating to pupilsʼ age, they are not well-considered and thus the undesirable formation of misconceptions is encouraged. The object of presented expert analysis are the visuals in sixteen Czech textbooks with a geographical content. The analysis was provided by multi-criteria assessment. The scaling method was used according to predefined criteria, considering of the weights previously proposed by experts (pair comparison method). Beside the general assessment of visuals, the specific comparison of selected examples of maps, photographs, schemes and graphs was conducted. The conclusions of the general assessment of the visuals could be sum up as: (1) an increasing number of abstract visuals with the expected age of pupils, (2) a high number of photographs with only illustrative function, (3) a low share of schemes supporting the development of pupilʼs abstract thinking, (4) a high share of visuals in regional-geographical curriculum, (5) a high number of visuals without any label. Whereas the adequacy of visuals in relation to pupilʼs age was not find problematic, the connections of the visuals to text and the legibility issue seem to be relatively low. Abstract: The authors conducted 22 unstructured heuristic interviews with the 7th and 8th grade pupils of the Czech lower secondary schools. During the interview the pupils were asked to perform a problem-oriented learning task with the help of visuals in the contemporary Czech geography textbooks and Czech School Atlas of the World. The aim was to determine where exactly the pupils fail when performing the assigned learning task. The interviews were analysed using a qualitative content analysis with open coding as a methodological tool. This working paper is an outcome of the research project Visual Geographic Information and its Role in Geographic Education (GA16-01003S) funded by the Czech Science Foundation (GACR). Abstract: The aims of the presented research (which was supported by the Czech Science Foundation project No. GA 16-01003S) are: a) to identify lower secondary pupils’ preferences about visuals in geography textbooks, b) to design a prototypical textbook chapter accompanied with prototypical school atlas maps, based on evidence-based recommendations and reflecting pupils’ preferences, c) to evaluate the proposed educational materials on the sample of 20 lower-secondary school pupils. The methodological frame of the study is based on Design-Based Research (Euler 2014). The study focused on the development of two key design principles (Edelson 2002; DBRC 2003): problem-based learning and developing visual literacy. Content-specific recommendations for textbook developers were identified. They are transferrable to different topics across geography curriculum. Contributions to theory and practice of geography education were also generated. Abstract: Učebnice vlastivědy a zeměpisu jsou geografickými didaktickými prostředky obsahující velké množství různých typů vizuálií. V současnosti je problémem absence komplexní analýzy vizuálií jako klíčové strukturní složky učebnic. Expertní komparativní analýza má potenciál identifikovat problémy vizualizace geografických fenoménů v těchto materiálních didaktických prostředcích a upozornit tak na nevhodné postavení, koncepci či kvalitu vizuálií v učebnicích, jež mohou vést až ke vzniku miskoncepcí u žáků různých věkových skupin. Cílem příspěvku je analyzovat postavení vizuálií ve struktuře učebnic vlastivědy a zeměpisu a zároveň zhodnotit kvalitu vizuálií hydrologických, geomorfologických a zemědělských fenoménů z hlediska použitelnosti. V rámci prezentovaného šetření bylo využito expertního hodnocení vizuálií odborníkem metodou kvantitativní obsahové analýzy. Bylo analyzováno celkem šestnáct českých učebnic vlastivědy a zeměpisu. V první fázi bylo analyzováno postavení vizuálií ve struktuře učebnice (např. počet a podíl z hlediska typu vizuálií, přítomnosti titulku apod.). V druhé fázi byla hodnocena (analyzována) kvalita vybraných vizuálií z hlediska jejich použitelnosti metodou škálování na základě předem definovaných kritérií. Důležitost kritérií byla stanovena na základě výsledků párového srovnávání mezi 19 vysokoškolskými odborníky (geografy a pedagogy). Výsledky analýzy ukazují, že klíčové postavení v učebnicích vlastivědy i zeměpisu mají fotografie. Podíl abstraktních a kvantitativních vizuálií je v učebnicích zeměpisu vyšší než v učebnicích vlastivědy, v čemž se pravděpodobně odráží předpoklad autorů učebnic o kognitivním vývoji žáků. Výsledky škálování naznačují, že vizuálie v učebnicích zeměpisu jsou kvalitnější z hlediska jejich použitelnosti než v učebnicích vlastivědy. Mezi klíčové problémy vizuálií identifikované na základě škálování patří častá absence titulku, relativně nízký vztah vizuálie k textu a nečitelnost některých map. Nejnižších kvalit dosahují vizuálie z učebnic relativně nových nakladatelství nemající dlouholetou tradici, naopak nejvyšší kvalitou se vyznačují vizuálie v učebnicích nakladatelství ČGS. Abstract: Objective of the paper is an analysis of selected historical events, which took place in Uruwa Valley among members of the ethnic group Nungon. The events - relocation of a village and religious conflict - still affect life of the community. The authors partially reconstructed the events using archive materials (especially patrol reports) and printed documents. The course of reconstructed events differs from the natives’ recollections of the same past. The paper confronts different versions of the past, but the authors do not search for the truth of the Nungon past events. The aim of the paper is to demonstrate the plurality of voices - both of natives and of Australian patrol officers - and to present the importance of the past events for the life of the community. Abstract: If the 1960s and 1970s is associated with the first use of so-called “perceptional” mental maps (Francescato and Mebane 1973; Gould 1973), the last decade, due to the new technological possibilities (social media, open global position system etc. ), is predominantly devoted to crowdsourcing approaches in the collection of data focused on spatial emotions of people. Therefore, not only the individual’s orientation strategy in space have changed (since maps contain more information and information about position is available practically around the world) but also the possibilities of mapping spatial emotions (see Klettner et al. 2013; Pánek et al. 2016). Thank to this, the mapping of emotions connected to space has become an integral part of the research activities of many professional institutions. However, we know relatively few about spatial emotions of indigenous people, who come from very different cultural environment. Although the influence of Western society through globalization process is obvious, particularly it is necessary to take into consideration the cultural origin of the individual who is influenced by cultural traditions, manifests a different relationship with the place/home, he/she is often limited in living space radius, etc. Previous researches aimed rather at reflection of perception either of home village or wider environment (e.g. Mead 1932; Hubenáková and Soukup 2012) and they could be consider as a part of field of visual cultural anthropology. In the terminological background of mental mapping it could be spoken rather about so-called “comparative” mental maps. The aim of the presented pilot study is to map spatial emotions of natives in Papuan village Yawan. Such mapping is not possible, of course, without the base map. What is common in our cultural and geographical settings – i.e. the availability of accurate and relatively current base maps – unfortunately, the environment of community of Yawan village (located in an isolated area of Saruwaged Range on the island of New Guinea) does not provide. Therefore, in the first phase of our research, accurate maps of the village (for other purposes as well) were prepared (field research in 2015) and only after that, in the second phase of the research, the mapping of spatial emotions of pupils from local primary school was realized (field research in 2016). Survey was attended by around 20 pupils. During the following analysis of collected data, the influence of individual’s place of residence on spatial emotions was assessed, among other things, as well as the role of public areas (e.g. school, playing area, airstrip) in emotional mental maps, the impact of clan origin of individual, etc. The aggregation and the analysis of the data were managed in software ArcGIS 10.3 for Desktop using Spatial Statistics Tools. Abstract: Natural hazards still bring today’s society relatively high loss in property, unfortunately, sometimes even in health and life. Numerous physical-geographical surveys are dedicated to floods and flood risk issues, various detailed models and flood maps are created among others. On the contrary, the relatively small amount of research projects is devoted to the social perception of flood and flood risks, although a number of experts and municipality representatives realize that to cope with these events, people’s attitudes are crucial. Willingness of people to engage, cooperation between inhabitants and municipality representatives as well as social interest in natural hazards are important for effective solutions. The paper aims to present the results of research project supported by the Czech Science Foundation, which deals with social perception of flood risk and used mental maps of inhabitants as the significant methodological tool. During a questionnaire survey around 300 mental maps of inhabitants from two small Czech settlements were acquired. Both settlements have significant experiences with floods in recent years. Therefore, it could be assumed that the emotions experienced during flood events are still vivid. The respondents identified in the map, based on their subjective opinion, safe/dangerous locations and they located into the map a set of possible/implemented flood prevention measures they were familiar with. The approximate location of the respondent’s residence and its influence on the respondent’s perception of flood risks were monitored. The aggregation and the analysis of acquired data were managed in ArcGIS using Spatial Statistics Tools, similarly to our previous studies. Abstract: As many realized pedagogic studies have documented, it is highly important to activate simultaneously both learner’s basic sense channels, e.g. verbal as well as pictorial, to improve an efficiency of learning (Mayer 1997; Paivio 2014). Therefore, school education should promote the activation, interconnection and complementation of these two sense channels by means of suitable proportion of the text and the visualities used in educational process. In the geography education this might be provide through the activities with maps. Further, the efficiency of learning is improved by the fact how learners comprehend the materials and media which operate with. The implementation of so-called spiral curriculum seems to be effective (see Rinschede 2005). The principle is that the learner repeatedly meets the same learning topics, nevertheless their didactic transmission changes and acquired knowledge deepens in dependence on the learner’s age. Similarly, the educational media have to be in accordance with knowledges and skills of learners of given age. Consequently, it is necessary to reflect these aspects considering the usability of school cartographic media, e.g. the maps in textbooks and especially the conception of school atlases. Educators, as well as the pupils are only the users of the educational cartographic media. Hence, the role of cartographers in the dialogue about the development of effective school maps and atlases is crucial. Therefore, the analysis of above mentioned aspects in efficiency of learning is the main goal of our paper. It presents actual results and planned steps in research project dealing with geographical visual information (GeoVisInfo 2016–2018) on the example of economic maps in Czech school atlases. These maps represent the extra-complex maps with multi-layer and fast developing content through time. It is legitimate thus to ask how to transmit the content to learners on various levels of school education. Our research will find answer to following questions in particular: How is significant to think about specialized atlases differentiated for elementary and for secondary schools? Is it possible to overcome the mentioned map complexity only with application of the cartographic generalization or the synthesis by means of synthetic maps? Which map symbols and means of map representation are sufficient for learners on various levels of school education? Some of forenamed questions was answered in questionnaire survey with utilization of didactic test. The survey was conducted in Czechia among 120 pupils of elementary schools (6th and 7th grade) and among 73 students of higher secondary schools (1st and 2nd grade). The didactic test put to learners some tasks leading to activities with economic maps. According to success in utilization of various kinds of map to solve the task by learner, it investigated the usability of particular visualities. Chi-quadrat test of independence significantly documented whereas the semantically motivated cartographical symbols are more suitable for elementary school pupils, the alphanumerical cartographical symbols in economic maps (e.g. using the symbology of chemical elements) are better for secondary school students. Nevertheless, the associativeness of colors with particular branches of industry is the same in both testing age groups. Concerning to the complexity of map contents, the economic maps are often incomprehensible for younger pupils. They are not able to join the particular provided information into the integrated image of economy in presented region. Regarding to the need of interconnection of verbal and pictorial sense channels, it is necessary to conclude that the text in textbooks is rarely connected to maps in the atlases. Therefore, new challenges lay in front of authors of school geographic or cartographic media. Abstract: Czech Historical Atlas represents a project under which historical maps of the Czech lands and Central Europe arise in the coming years. There are two main project outputs planned. A web atlas dedicated to history of the Czech lands from prehistoric times to the recent past will be the first. The second important output is comprised of a printed atlas focused on Czech twentieth century history. The aim of the new atlas is to build on previous historical atlases – such as the Academic Atlas of Czech History (2014) or earlier post-war works of Czechoslovak cartography – and to access latest research results of historians in the form accessible to experts, teachers, students and other users interested in history. Within the project, the Institute of History (Czech Academy of Sciences) and the Czech Technical University in Prague are involved. Both organizations bring together collaboration of historians, geographers, cartographers and geoinformaticists from a number of other institutions. In the paper, a preparation stage of the Czech Historical Atlas is presented. A search for existing atlases with historical content is one of the steps in the preparatory phase. For this search, a special database has been designed. Its structure reflects not only the thematic focus of searched atlases but also the subsequent short list of atlases which show the studied area (Central European region with emphasis on the former Czechoslovakia or contemporary Czechia, respectively), and supposed solutions for both versions of the atlas. The aim of this background research was to create a knowledge base for the conception of the atlas performed in the next step. The atlas conception is based on the needs of target group of users. Maps will be complemented by short texts, which describe map topic, and photographs, graphs, tables, historical documents images etc. The effort is to create a user-friendly output. For example, the printed atlas of 20th century will not be too large and bulky. Thematic, geographic and temporal interconnectivity will be ensured within web versions of the maps too. Besides the Czech language, English translation of accompanying texts is planned. In parallel with the concept design, historical and history-geographical preparative works were held. This included search in other sources of information in libraries and archives. The atlas conception and activities of historians and geographers have resulted in collection of topic drafts of possible maps, which are stored in a database shared on-line. In this database, data such as thematic, geographic and historical classification, data availability, content guarantors or information about accompanying materials is recorded. In connection with the proposals for map topics of both versions of the atlas, it is worth noting some methodological assumptions. Maps from previous projects developed in partnership with the Institute of History and Czech Technical University in Prague – e.g. the Academic Atlas of Czech History – will be used there. Available databases of all contributors or third parties – like Research Centre for Cultural and Historical Geography (Charles University) – will also be used. Completely new topics such as the issue of justice, recreation, leisure and everyday life, boundary changes, landscape changes will be handled as well. Likewise, the choice of technology for web maps is an important conceptual issue. This will be determined after the evaluation of selected map topics and background research for proprietary and open-source solutions to access maps on the Internet. With such an extensive and interdisciplinary project like the Czech Historical Atlas, the preparatory phase is crucial. However, time consuming preparation streamlines the process of creation and post-production arrangement of cartographic outputs. Abstract: V rámci projektu NAKI II Český historický atlas (2016–2020) je v současné době připravováno nové rozsáhlé dějepisné atlasové dílo, které bude převážně zaměřeno na české a československé dějiny 20. století. Záměrem autorského týmu z Historického ústavu AV ČR a Českého vysokého učení technického v Praze je navázat na úspěšný projekt Akademického atlasu českých dějin. Hned na počátku přípravných prací byla provedena jednak rozsáhlá rešerše a na ni navazující analýza všech dosud publikovaných českých (československých) dějepisných atlasů, jednak rešerše zahraničních dějepisných atlasů s podobným zaměřením vzniklých po roce 1950. Cílem bylo poskytnout autorskému týmu inspirační zdroje pro zpracování koncepce nového atlasu. Hlavním posláním tohoto příspěvku je představit tuto ne zcela běžnou součást přípravy kartografického díla, způsob jejího provedení a další možné využití. Celý proces výběru, popisu atlasů i následné analýzy probíhal podle předem stanovených kritérií. Během rešerše byly využívány atlasy z českých i zahraničních knihoven. U zahraničních atlasových děl byla zvýšená pozornost věnována jejich reflexi českých a československých dějin. Výsledkem se stala rozsáhlá databáze vybraných dějepisných atlasů celosvětové produkce od roku 1950 do současnosti, která nemá v českém prostředí obdoby. Tato databáze čítá více než 400 položek. Kromě standardního bibliografického popisu, který lze najít v knihovnických katalozích, však obsahuje navíc celou řadu dalších charakteristik (metody tematické kartografie, použité měřítkové řady atd.). Na základě požadavků kartografů i historiků navíc databáze obsahuje vybrané ukázky map. Dá se proto předpokládat její širší badatelské využití, které by mohlo přispět k rozvoji výzkumu v oblasti atlasové kartografie. Proto mají její autoři v úmyslu výslednou databázi volně zpřístupnit na webovém portálu projektu. Abstract: Při přípravě tak rozsáhlého kartografického díla, jakým je bezesporu v současné době vznikající nový český historický atlas (ČHA), jsou nutnou součástí rešerše a následná analýza dosud vydaných kartografických děl s podobným zaměřením. Na rozdíl od jednoho z možných výstupů, kterým bývá hodnocení dosavadní kartografické produkce, je cílem této analýzy především vznik databáze historických atlasů se zajištěním celé řady jejich charakteristik (vedle tradičních bibliografických údajů také základní kartografické parametry, ukázky, vývoj historicko-vědního a kartografického zpracování atd.) a pozitivního inspiračního zázemí pro genezi koncepce nového atlasového díla. V rámci příspěvku jsou představeny klíčové fáze rešerše a analýzy, k níž patří mj. analýza struktury atlasu různého druhu (povaha z hlediska zastoupení map, textu a obrazové složky; komplexnost map, typologie map), dále pak analýza měřítek, metod tematické kartografie, titulů jednotlivých map ad. Podmínkou je využitelnost výsledků pro účely celého týmu, který je složen z geografů, historiků, kartografů a zástupců z vydavatelské branže. To předpokládá nutnost respektování požadavků všech zúčastněných stran. Autoři při tom vycházejí jednak z bohatých zkušeností s kartografickou tvorbou, jednak z dosavadní spolupráce s historiky a dalšími humanitně zaměřenými odborníky. V neposlední řadě jim jako důležitý odrazový můstek slouží rovněž zkušenosti s hodnocením a lektorskou činností kartografických děl. Abstract: The paper deals with the issue of perception and delimitation of Central Europe (CE). The first part introduces and discusses basic concepts and conception of CE which might be found in the selected parts and might be considered crucial in this respect. Attention is then focused on the possible differences in the perception of CE from the perspective of individual nations and to interpret what might cause these differences. The following empiric part of the study compares previous theoretical knowledge and assumptions of real results of the research. The research was carried out through a questionnaire survey to collect the mental maps of selected individuals. The respondents of the research were senior high school students and first-year university students from eight CE countries. Their task was to mark the borders of CE based on their subjective perception onto the European map. A total of 490 mental maps were taken, analyzed, and aggregated into the GIS map outputs. The final part compares and interprets the results, i.e. map outputs which were obtained through this probe of individual countries. The authors reflect on the questions of how and why the results differ in individual states and to what extent they match hypothetical assumptions of the “national” perception of CE space. Abstract: The contribution provides an overview of the ways colour is used in cartographic visualizations and how it affect S perception of these visualizations. Colour is generally considered as the most important graphic variable for expressink spatial information in cartographic visualizations. Through appropriate use of colours, the content of a map can be significantly accentuated, which enhances its legibility and comprehensibility profoundly. Appropriate use of colours is a very irnportant factor in many cartographic applications, such as emergency management tools, in whch cartographic visualization helps to transfer the required information effectively. A well-chosen colour scheme with appropriate contrasts is the best way to depict the overall character of an area or a phenomenon. The present paper describes the most significant approaches to colour use in cartography, which can be of immense help when communicating information to map users. Abstract: The issue of regionalization of the world from macro level (macro-regions) to the micro level (local regions) belongs to the geography of relatively traditional and permanent circuits in terms of current projects and research. Also, because of this, there are currently already a number of concepts of regionalization, which are conceptually more or less connected to their bearers, i.e. their thinking and origin. These concepts have become an integral part of cultural expression and as such should be seen always in the context of the nation, of which the author or authors of these concepts originated, i.e. the historical and cultural contexts. In terms of regionalization of Europe it is quite usual to shape regions on the principle of steady state borders and any differences within states are to be overlooked. The states in their concepts then usually behave as indivisible entities. In this context, there are a number of issues, such as to what extent do these concepts correspond to the ideas of individuals from different European countries in their mental maps? Does the stability of the region manifest itself somehow in mental maps, and if so, how? Is it possible to trace the origin of the authors of these mental maps, etc.? The aim of this paper is to present a relatively unconstrained (free) regionalization of Europe by using the example of setting the boundaries of the region “Central Europe”. The origin of the term “Central Europe” is connected with the so-called Vienna Congress, which took place in 1814–1815. For our study, this region was chosen as an example because it is a relatively less stable region within Europe and even the experts are not of the same opinion on the definition of the unity (see e. g. Battaglia, 1960, Schenk 1995, Szucs 2001, Wandycz 2004). It is particularly associated with the so-called principle of European duality (Nováček 2012), because the boundaries of “two Europes” often went right through this region during the historical development. A questionnaire survey was the chosen method of this case study, related to the acquisition of mental maps of respondents. In the survey, the respondents marked the borders of Central Europe onto the European map containing only the border states. The boundaries of “Central Europe” which they marked may or may have not respected the boundaries of existing European states. The participants were students of the last year of secondary schools, respectively of first year university students from selected areas. The samples come from Austria, Czechia, from the former East and West Germany, Hungary, Poland, Slovakia, Slovenia and Switzerland. Special thanks to colleagues from their respective departments for their help, without whom this research could not have been carried out. Based on the analysis carried out in ArcGIS for Desktop 10.2 using the tools of extension Spatial Statistics, the influence of the respondent’s origin on the resulting mental map has been proven (Saarinen 1988). It was also shown to affect the stability of the region defining the resulting aggregated mental map. The influence of regional stability has also been shown to define the resulting aggregated mental map. The correlation of concept origins with mental maps has only been partially proven, which can be ascribed to the fact that the amount of the compared concepts was not large. Abstract: The theory of creativity in contemporary cartography was described by author in the article entitled “Creativity in current cartography” (Bláha 2008) as part of the symposium “Art and Cartography” (Vienna, February 2008). This contribution builds on the theory and delivers a practical demonstration of how an author can promote creativity within cartographic practice. Selected cartographic output from “Prehistory of the genus Homo” with the subtitle “who we are, where we are, where we are going” is presented within the poster. This is a unique publication, whose text originated nearly 20 years ago. The Czech cultural anthropologist Václav Soukup connects his knowledge of several disciplines in it, but also an extremely rich amount of visual images including maps. The publication is authored by domestic and foreign representatives of other professions: painters, graphic designers, photographers – and a cartographer. Although published in the Czech language, even those who have not mastered the Czech language will certainly be happy to become familiar with the publication, too, thanks to its plentiful visual images. A big positive is that an English language version of this publication is going to be published in the future. Due to the high number of co-authors, some unification of style was needed, which would form a compact unit of a book with over a thousand pages. The author’s requirement stated: to create where possible accurate, but stylistically fresh maps evoking oil paintings. Right now oil paintings are in fact being used within the reconstruction of the various stages of human development, including activities and the environment that surrounded humans. The bases of the maps were created within ArcGIS for Desktop including the exact location of archaeological sites based on aerial photographs, available U.S. topographic maps and GPS coordinates. Within the geodatabase, data from the freely available reference data layers of Natural Earth (mainly watercourses, land, establishments) was used. Old land from the period of glacial ages was created on the basis of older analogue maps. The base of the map is colour-modified digital terrain model (DTM). Subsequently, DTM (ocean bottom and land) was converted to raster format and graphically modified using art techniques in Adobe Photoshop. Vector data, including a description of objects was further modified in CorelDRAW. Map finalization was done in Adobe InDesign. This example of cartographic practice refers to some other problems which cartography will have to deal with now and in the near future. They are a) the need for cooperation with a number of other professions when collaborating on larger or smaller projects, during which you need to consider the fact that the requirements of authors are in conflict with the classical conception of maps created in GIS, b) increasing cartographers’ graphic competency, c) cartographer practice other than purely cartographic production, because self-published cartographic products will continue to be a negligible percentage of the production of maps. Abstract: Autoři v příspěvku představí první výstupy pilotního projektu, který se uskutečnil v dubnu až červnu 2015 v komunitě Nungon v lokalitě Yawan (provincie Morobe, Papua-Nová Guinea). Vzhledem k tomu, že se lokalita Yawan nachází v horském pásmu Saruwaged Range, relativně daleko od větších sídel, nebyla dostupná prakticky žádná aktuální prostorová data velkého měřítka a veškeré mapování bylo nutné provést v kombinaci lokálního souřadnicového systému s připojením na WGS-84 prostřednictvím GPS. V rámci terénního výzkumu tak bylo kromě metod kulturní antropologie využito terestrických a GPS metod pořizování prostorových dat. Kontrola kvality dat byla prováděna přímo v mapované lokalitě pomocí mobilní GIS aplikace, následné zpracování, analýza a vizualizace dat probíhají v ArcGIS for Desktop po návratu do Česka. Abstract: In this contribution, the authors will introduce the first output of a pilot study, which was carried out from April to June 2015 by the Nungon people in the villages of Yawan, Toweth and Kotet (Uruwa Valley, Morobe province, Papua New Guinea). Considering that the Nungon people live in the mountains of the Saruwaged Range, relatively far away from large cities, there was no actual detailed spatial data available and the whole mapping had to be carried out in combination with the local coordinate system with the connection to WGS-84 via GPS. Therefore, besides using methods of cultural anthropology within the field research, terrestrial and GPS methods of data collection were used, too. Quality control of the data was thus carried out directly in the mapped locations using mobile GIS mapping applications, and subsequent processing and and data analysis run in software ArcGIS for Desktop upon arrival in Czechia. The research output should then be, among others, a dataset and a series of maps showing cultural specifics and phenomena of the Nungon people in the locations of Yawan and Toweth. Abstract: V příspěvku je představen vývoj místních názvů ulic na příkladu města Chotěboře na Vysočině, kde lze vysledovat hned několik etap a trendů pojmenovávání ulic. Autoři prezentují vývoj od prvních názvů ulic spjatých především s geografickými jmény a lokalitami ve městě a v jeho okolí (přenos místních názvů do názvosloví dalších objektů ve městě) a s historickými událostmi souvisejícími s městem, přes názvy využívající jména osobností spjatých se životem města (profesoři místního gymnázia, umělci atd.) či jména všeobecně známých osobností, po názvy relativně univerzální bez emocionálního náboje, bohužel však také často bez větší invence. Autoři upozorňují i na fenomén, s nímž se setkáváme zejména v menších městech, fenomén místního intelektuála produkujícího místní názvy ulic, který byl postupně nahrazen místopisnými komisemi. Celý příspěvek je doplněn analýzou a kategorizací názvů ulic včetně jejich vzniku, opomenut není ani fenomén přejmenovávání ulic v důsledku změny ideologie. Abstract: Aim of the oral presentation is the map as one of the visual models of (not merely) reality, that speaks its language and content. If the map is seen as an image, it is not only the result of a more or less objective recording of area, but also the expression of the individual, respectively culture, from which the relevant individual comes from. The study is based on research, within which mental maps of individuals of selected cultures (Czechia, Western Europe, New Guinea) were studied. This research has shown, inter alia, a gradual cultural unification of map styles and in its findings is also apparent conflict between cultural originality and international cartographic conventions, although this fact lost none, as it seems, utility value of maps. Abstract: Although the interdisciplinary study of the cultural aspects of cartographic creation has in the recent past been dealt with in an indirect manner, for example by J.B. Harley and D. Woodward in the project “His-tory of Cartography”, the question has not as yet been adequately taken up on a complex level. The author of the present study attempts a more com-plex approach in his treatment of the problem. This paper includes a theo-retical introduction devoted to map contents, map style and map language, which together represent the greatest potential cultural differences embod-ied by a map, considered here in its role as a depiction of reality and a visual manifestation of culture. A portion of the study focusing on method assess-es the procedures employed in the formation of cognitive and mental maps by users and map creators. These maps may be used to discover cultural specifics of cartographic creation. The final portion of the study presents the findings of a field study of the mental maps of school children from Czechia, Western Europe and the village of Yawan (Papua-New Guinea). Abstract: Effort to define the world around us lead people to the fact that all the things and people around them get the names. There are any amount of definitions of basic artefact activity of cartographer, i. e. the map. In this context, it is interesting that in the present increasingly come in definitions, which see the map primarily as a carrier of spatial information. Its share of that has, among others, information theory by C. E. Shannon (1949), who pioneered computer science as a distinct field of human activity. Just the information theory has influence through geoinformatics on present map creation. However, this begs the question whether the trend define the map primarily as carrier of (spatial) information does not reduce the map itself and its functions? Indeed, is the model of information theory, applied in cartography, able to describe the general characteristics of the map and its functions? At this point, there is a concept of cartography by Scottish cartographer John Stanley Keates (1925–1999). Keates presented his conception of cartography especially in his key text, Understanding Maps (first published in 1982, the second released in expanded form in 1996). In principle, Keates is not in conflict with the information theory, but he also claim that this theory to describe the maps and its function is simply not enough. According to him, on the map as an artefact of human activity can be seen now in several modes. As the visual information, a symbolic representation, a communication, an artistic work and product of skill. Most of these modes using similar constructs, in which a cartographer/mapmaker is on the one side, the map is a specific mediator and the map user is on the other side. These modes, however, differ in their basic philosophy. Alternate with the visuality, semiotics, linguistics, aesthetics and technology. When J. S. Keates trying to sum up his lifelong research of cartographic creation came to the conclusion that he never paid primarily communication, but also a representation of the objects and phenomena. According to him, the product must be not only informative effective but also aesthetically attractive. And how we understand maps? Abstract: Early maps can serve not only as a source of valuable historical information about the landscape and geography of a represented area. They can serve as a source of information about cultures living in the given territory as well, even as a source of information about the culture which the author himself comes from. Beside the study of map language and map content, it is the rich content of early maps within marginal information, which allows to study the ideas and concepts of our ancestors about the cultures living in different parts of either the known or unknown world at that time. These are the drawings of illustrative character in particular, in the early maps postured as parergas, vedute and cartouches. The paper is slightly inspired by the exhibition “Annäherungen an die Ferne” (Approaches to Distant Lands), which took place in the Austrian National Library in 2009 and which provides a wide range of study materials. In addition, the early maps from renaissance and baroque, originally from several map collections in Czechia, were used for our research purposes. The aim of the paper on the one hand is to analyze and classify map language and map content and on the other hand it is to discuss the cultural determinism arising from cultural origin of the author. Abstract: This contribution presents part of the findings of the project Mental Maps: Object and Tools for Assessment, which was realized in the years 2009–2011 at Charles University in Prague. The project was divided into several parts. In view of the scope of this contribution, only two parts of the research are presented here. In the first part, the authors test their method of assessing cartographic works with users’ mental maps, using the example of hiking maps. Users of hiking maps (161 respondents in all) were given several tasks and questions about individual evaluated maps. Then they were each asked to draw their own mental maps while answering questions, without having immediate access to the actual hiking map to which the questions pertained. In order to eliminate subjective problems with drawing mental maps (weak spatial memory, impaired drawing ability, inexperience with cartographic works, etc.) a large sample of map users were selected to participate and the contents of their individual mental maps were aggregated. In the end, we took from the relatively extensive sample of mental maps (483 in all) as many “aggregated mental maps” as there were evaluated hiking maps. These aggregated mental maps, together with conventional multi-criteria evaluation, contributed to the final analysis of hiking maps with a listing of positives and negatives of particular evaluated maps. The second part of this contribution presents the part of the project dedicated to cartographic representation of the development of students’ imagination of the spatial arrangement of the land in which they live. Designed as a case study, it addressed only four schools (two grammar schools and two secondary schools), and the pairs consisted of one in the capital city of Prague and one outside of Prague. This allowed us to follow the differences in mental maps according to the age of the respondents and according to school district. Besides observing the students’ ability to accurately draw the position of Prague, this part of the research also examined their spatial conception of the geography of the Czech Republic (basic spatial arrangement of geographic objects). Last but not least, in outlined maps the student participants filled in their own preferences of where to live (where I would like to live and where I would not like to live). The result of this part of the research consists of aggregated mental maps for each school (the geography of the Czech Republic and drawing the location of Prague) and aggregated maps of preferences. A selection of the mental maps that were produced can be found on the project’s website: www.jackdaniel.cz/mentmap. Abstract: Cultural specificities can be identified in cartographic works. These specificities are closely related to the stylistics of cartography, i.e. styles of maps. This opens wide possibilities not only for an analysis of cartographic works from cultural studies point of view, but also for a global analysis of cultural differences. The paper outlines the possibilities of mental map analyses. These mental maps come from respondents from various cultures in order to come to a description of the cultural differences in the map language or content. Abstract: The poster presents maps of students of the Faculty of Science (Charles University in Prague) which emerged in the course “Thematic Cartography”. Instructions were as follows: 1st possibility: compose a map in a known artistic style, 2nd possibility: compose a map using a known artistic technique, 3rd possibility: compose the map in a completely original way. Imagination and creativity are not limited, but you have to respect the basic rules of cartography. Abstract: The article deals with analysis of mental maps (of orienteering runners) which were obtained by questionnaire. Using the prerequisite of measurability of their sports performance it is possible to measure the accuracy of assessment methods of mental maps. Mental maps were acquired by two-section questionnaire; they were assessed with the help of two methods – frequency measurement and methods of determined weights and criteria. The results of the methods were visualised using GIS software into aggregated maps. Abstract: The first part mentions the traditional, and we can also say never-ending, discussion on cartography and early maps being a form of art (expert specialization, mastery in map production and freedom of creation, evolution of cartographic language, more accurate mapping, evolution of reproductive techniques and technologies in general, J. B. Krygier’s polemic on the dualism of science × art in cartography, establishment of the ICA Working Group called Art and Cartography). It is followed by a summary of aesthetic aspects of (not only) early maps (map format, sheet composition, use of space, shapes of map fields and structure of outlines, form of compositional elements, map contents, cartographic language, thematic cartography methods, use of colour and font in maps, author’s style and handwriting). Finally, several pieces of evidence are offered confirming that “early maps” and “computer map production” are not incompatible. We can find such examples, among others, in Bachelor Theses dealing with artistic techniques used in current cartographic products for the public and with maps of fictitious worlds using similar means of expression as early maps. Abstract: In those times when cartography did not make use of automated reproduction techniques cartographic products were considered works of art. Each cartographic work was original and their authors were rightfully referred to as ‘artists’. Due to letterpress and other automated techniques (which lead to the transition from traditional to computer-aided cartography) cartographic production abandoned the artistic dimension and has become a special-purpose activity. Therefore, present-day aesthetics rightfully classifies cartographic production as the so called the non-artistic aesthetic. Creativity of authors themselves may seem to be closely connected with these facts. Our purpose is to disprove this hypothesis and point out various possibilities of creative expression in present-day cartography. There is no doubt that the ability to look for and discover such possibilities, is of high importance. Some of the possibilities can be found in applying artistic styles to cartographic styles, e.g. abstraction, fiction, imagination, etc. Abstract: Evaluation of present-day road books was conducted as a part of assessment of cartographic works. This assessment is conducted using aesthetic and user-friendliness criteria and is part of a larger project financed by the Grant Agency of the Charles University (GA UK no. 249/2006/B-GEO/PrF) called "Application of Aesthetics in Visualization Methods of Cartography". The road books were evaluated by a combined method of evaluation criteria and field research among users which took place in November 2007 at selected petrol stations in the Central Bohemian Region, Czech Republic. The users´ opinions and evaluations were collected via questionnaires and conducted interviews. The paper presents results of the field research and the evaluation of criteria. The evaluation was performed by a four-member team of geography and cartography students, with the help of methodological instructions of the author. Abstract: Rock representation in maps belongs to the traditional problems in classical cartography. There is a gap in this field in digital cartography. Possibilities for rock representations using digital cartography means mainly in large- and middle-scaled maps are discussed in this article. Several ways to represent the rock formations on contemporary digital maps are described together with their limitations and relation to techniques used in the classical cartography. Problem is also seen from other points of view: availability of geographical data in the Czech Republic, possibilities for automatic processing and aesthetics and user-friendliness. Abstract: The poster, as the main result of this bachelor study, aims to represent the predominant issues that make up a content of said study. Acemetery, in geografic concept, can be considered a specific part of the country, with certain rules of structure layout. It is therefore conprehensible and convenient to depict a cemetery area with a map (a plan). The introductory part of the study concentrates on Czech funeral services, including legal background. The next part of the study pursues matters concerning contemporary maps of cemeteries. The author exerts to employ knowledge gained through his own thematic plans ofVinohrad cemetery in Praha (Prague). Also, a prospective utilization ofArcGIS software for cemetery administration is suggested. Vyjadřování výškových bodů a kót na mapách české i světové produkce / Contribution in Conference Proceedings / Sympozium GIS Ostrava 2007 / Jan D. Bláha, Tomáš Hudeček / / 2007 / s.
Abstract: Problematika sjednocení vizualizace a popisu výškových bodů, resp. kót, je do jisté míry opomíjena a metod pro vizualizaci je téměř přesně toliko, kolik je na trhu atlasů, potažmo map. V české odborné literatuře chybí diskuze, která by vyřešila toto vakuum a která by vnesla do problému více pravidel a odstranila nepřesnosti. Příspěvek se zabývá vývojem pojmů kóta a výškový bod, jejich vzájemným vztahem a jejich (možnou) vizualizací na mapách a v atlasech českých i zahraničních. Na vizuální stránku problému je nahlíženo z pohledu kartografické tvorby, estetiky a uživatelské vstřícnosti. Abstract: V roce 2004 dvě známá česká kartografická nakladatelství (Kartografie Praha, a. s. a SHOCart, spol. s r.o.) vydala Školní atlas světa. Po představení autorů příspěvek s pomocí systému hodnoticích kritérií analyzuje a hodnotí tyto dva atlasy z hlediska estetiky a uživatelské vstřícnosti. Vzhledem ke svému charakteru je hodnocení podpořeno průzkumem mezi uživateli (žáky ZŠ a SŠ). Abstract: Barva je neodmyslitelnou součástí života lidí a má v něm rozličné funkce. Ne jinak je tomu v kartografii. K efektivnímu využívání barvy v kartografické tvorby je třeba správně a především plně pochopit pojem „vyjadřovací prostředek“, s nímž je barva spojována. Vyjadřovací prostředky lze přirovnat k specifickému druhu písma, k autorskému rukopisu jako prostředku sebevyjádření autora; slouží i k co nejvěrnějšímu popisu reality. Ve všech těchto pojetích má barva svou důležitou úlohu. Srovnáme-li funkce barvy v kartografii a ve výtvarném umění, najdeme poměrně velké množství styčných bodů. V kartografii se barva uplatňuje na pozici nosiče informace, ale má i značný vliv na celkové estetické působení a uživatelskou vstřícnost díla. Ve výtvarném umění je využívána k věcné charakterizaci, k znázornění emotivního, asociativního a symbolického významu, a konečně je sama o sobě výtvarnou hodnotou. Co se vývoje uplatnění barvy v dílech týče, ve výtvarném umění existují epochy dominance a naopak podřízenosti barvy. Kartografie dlouhý čas vývoj výtvarného umění kopírovala, odloučení nastalo s rozvojem reprodukčních technik. V posledních staletích je používání barvy v kartografii úzce svázáno s tiskařskými možnostmi. Pro to, aby barva našla své uplatnění jako nosič kartografické informace, je důležité plnohodnotně využít jejích funkcí. Zefektivnění může napomoci znalost vztahů barev, jelikož barva není v kartografickém díle nikdy přítomna izolovaně, navíc není zelená jako zelená. Příkladem může být sedm kontrastů Johannese Ittena: contrast of saturation, contrast of light and dark, contrast of extension, contrast of complements, simultaneous contrast, contrast of hue and contrast of warm and cool. Ukazuje se, že oblast výtvarného umění a designu může být pro kartografii zdrojem cenných informací a poznatků. Abstract: Problematika objektivizace hodnocení kartografických děl není nijak nová. Mluví-li se o hodnocení z hlediska estetiky a uživatelské vstřícnosti, je objektivizace, resp. kvantifikace jedním z klíčových úkolů během takového hodnocení. V první části příspěvku je položena otázka, zda je objektivizace takového hodnocení vůbec možná. Při té příležitosti autor naráží na otázku tzv. redukce reality, na níž se obecně váže otázka tvorby vzorků, dotazů a stanovování hodnoticích kritérií. Hlavním cílem příspěvku je však seznámení kartografické veřejnosti s metodami a postupy používanými v sociologii a psychologii (např. pozorování, rozhovor, dotazník, v rámci tzv. škálování potom metoda párového srovnávání nebo metoda sémantického diferenciálu). Abstract: V rámci Týdne geografie 2012 uspořádala katedra geografie po pěti letech opět výstavu atlasů. Tentokrát svou pozornost autoři výstavy zaměřili zejména na školní atlasovou tvorbu. K vidění byly jednak staré školní atlasy, jednak soudobé školní atlasy z Evropy i ze vzdálenějších koutů světa. Abstract: Měřítko je jedním z pěti základních kompozičních prvků mapy a jako takové je na každé mapě povinné. Mapa bez měřítka není mapou, ale měla by být spíše nazývána obrázkem. V učebnicích se lze často setkat s popsáním podstaty měřítka jako délkového zmenšení. K častým chybám dochází už zde uváděním nesprávné definice jako „poměru mezi libovolnou délkou ve skutečnosti a jejím zobrazením na mapě“. To platí však pouze pro délky nezkreslené, což může být zejména u maloměřítkových map, s nimiž se ve výuce pracuje, splněno jen v některém ze směrů nebo v omezené části mapy. V učebnicích se lze setkat i s celou řadou druhů klasifikace měřítek a následně také map podle měřítek. Následující text se však bude věnovat spíše způsobům vyjádření měřítka tak, jak se s nimi lze setkat v mapách; uvedená pravidla a zásady pro tvorbu se týkají výhradně měřítek délkových. Abstract: Mapa. To je pojmenování zdánlivě obyčejné věci, s níž snad každý skaut či skautka přišli do kontaktu. Bereme si ji s sebou na výpravu, na tábor, zpravidla ji balíme až navrch, protože mapa zabalená mezi pyžamkem a spacím sáčkem příliš nepomůže. Na mapy také často koukáme na internetu, když potřebujeme zjistit, kam že to vlastně jedeme, kde ten druhý vůbec bydlí, jak se k němu dostat... Mnohdy, když slova nestačí, krátké ukázání v mapě je poslední záchranou. Prostě a jednoduše, život bez ní by byl přece jen složitější. Abstract: „Umíme-li číst mapu, známe nový jazyk. Tvoříme-li ji – mluvíme jím.“ Tento citát A. M. Berljanta vyjadřuje velmi dobře podstatu tzv. jazyka mapy, jehož obecnou teorií se zabývá kartografická sémiologie. Stejně jako každý mluvený jazyk se skládá ze slov, jazyk mapy je složen z kartografických znaků (nikoli značek! ), což jsou jednoduché grafické struktury, potenciální nositelé určité informace, které mají pro uživatele mapy určitý význam. A stejně jako existují výkladové slovníky, je třeba mít pro překlad mezi jazykem mapy a významem jednotlivých kartografických znaků nějaký podobný prostředek. Tímto potřebným elementem je v rámci mapy legenda. Abstract: Recenze na mimořádně nevydařenou publikaci věnovanou historii české kartografie, která je mimo jiné zprávou o současné nakladatelské a vysokoškolské praxi v Česku. Abstract: Recenze unikátního sborníku vědeckých statí, který odkrývá známé i neznámé prostory prostřednictvím mezioborové diskuze. Abstract: Review of the relatively recently published atlas of social geographers from Charles University in Prague. Abstract: Recenze se zabývá edicí reginálních atlasů krajů České republiky od nakladatelství Geodézie ČS. Tyto atlasy byly vydány v průběhu let 2002-2003. Pro recenzi byly vybrány doposud vyšlé atlasy, tj. Liberecký kraj, Jihomoravský kraj a Ústecký kraj. Struktura recenze: zadavatelé projektu, koncepce, obálka, struktura, obsah, administrativní mapy, geografická charakteristika kraje, automapa, hraniční přechody, plány měst, cestovní ruch, strategie rozvoje, polygrafické zpracování. Abstract: Recenze se zabývá publikací známé historičky Evy Semotanové "Mapy Čech, Moravy a Slezska v zrcadle staletí". Podrobně se věnuje a rozebírá jednotlivé kapitoly knihy, posuzuje polygrafické i obsahové zpracování, nicméně hned v úvodu upozorňuje, že se vzhledem k interdisciplinárnímu charakteru publikace jedná pouze o pohled kartografů. Srovnává dílo s předchozími publikacemi podobného zaměření (Kuchař, 1958 a Boguszak a Císař, 1961). Naznačuje tak, že podobná publikace tu již několik desítek let chyběla a předvídá, že se tato publikace jistě stane pomocníkem jak historiků, tak kartografů se zájmem o staré mapy. Abstract: Každý z nás žije v určité oblasti a navštěvuje místa, která jsou pro něj z nějakého důvodu významná, ať už se na nich jednoduše cítí dobře, symbolizují pro něj to, co považuje v životě za důležité, odrážejí minulost i současnost regionu či zde pravidelně potkává své dobré známé. Společným znakem takových důležitých míst je, že v sobě spojují mnoho odlišných hodnot, a tím vzájemně propojují i různé lidi. Návštěvníci na tato místa sice přicházejí z rozličných důvodů, avšak se společným zájmem o místo samotné. Domníváme se, že mezi takové lokality patří i poutní místa. Ostatně náš počáteční krok k tvorbě mapy znázorňující období konání poutí na jednotlivých katolických poutních místech během kalendářního roku, kterou tato brožura doprovází, nebyl také čistě náboženský. Anthropology: theories, concepts and figures / Map(s) in Publication / / Author: Martin Soukup / / 2018 / 773 s.
Cizinci mezi Papuánci: První kontakty na Nové Guineji / Map(s) in Publication / 11 maps / Author: Martin Soukup / / 2016 / 304 s.
Abstract: Vnitrozemí ostrova Nová Guinea bylo dlouho bílým místem na západních mapách. Při průzkumných cestách ve 20. Století vyšlo najevo, že tam tehdy žily velké lidské populace, jež zůstávaly po tisíciletí izolovány od pobřežních oblastí. Kniha se věnuje výkladu prvních kontaktů mezi Papuánci a cizinci, jak autor nazývá Evropany a Australany ovládající ostrov. Příchod cizinců nezřídka vyvolal u Papuánců šok. Kvůli barvě jejich pokožky je považovali za vracející se zesnulé předky, jindy za nebezpečné duchy či potomky bytostí z počátku času, jejichž příchod je předzvěstí konce světa. Po opadnutí prvotního šoku často docházelo k tvrdým střetům mezi cizinci a Papuánci. Výpravná a čtivě napsaná publikace líčí průběh významných průzkumných cest, jež dostaly vnitrozemí ostrova na mapy. Autor se také zabývá koloniálním uspořádáním teritorií Papua a Nová Guinea, popisuje dobové rasistické názory a praktiky a ukazuje, jak sociální antropologie poskytla cizincům oporu pro jejich civilizační aktivity na ostrově. Cizincům se velice rychle podařilo prosadit mezi Papuánci vlastní představu civilizace a změnit jednou provždy ráz tamějších kultur. Prehistory of the genus Homo / Map(s) in Publication / 19 maps of locations, 14 big maps, 6 adapted maps / Author: Václav Soukup / / 2015 / 1150 s.
Abstract: Kniha Prehistorie rodu Homo se pokouší odpovědět na nadčasovou otázku spjatou s existencí lidského rodu: “kdo jsme, odkud jsme a kam jdeme”. Hlavními hrdiny této encyklopedicky koncipované vědecké monografie jsou předci člověka a fenomén kultury. Prostřednictvím kultury se příslušníci lidského rodu dokázali nejen vyčlenit ze světa přírody, ale také vytvořit “druhou lidskou přírodu”, jež ovlivňuje osudy všech živých bytostí na naší planetě. Kniha je určená širokému okruhu čtenářů, kteří se snaží zorientovat ve stále spletitějších výkladech antropogeneze. Evoluce člověka je v současné době studována z perspektivy mnoha přírodních i společenských věd. Proto autor své čtenáře nejdříve systematicky seznamuje se současnými poznatky z oblasti paleoantropologie, genetiky a primatologie. Teprve poté předkládá svou vlastní interpretaci evolučního příběhu rodu Homo a formuluje své názory na vznik lidské kultury a umělecké kreativity. The Genesis of Creativity and the Origin of the Human Mind / Map(s) in Publication / 1 map / Eds. Barbora Putová and Václav Soukup / / 2015 / 350 s.
Abstract: What is it about human beings that makes us creative, able to imagine and enact new possibilities for life and new solutions to problems in a way that no other animal can? The authors included in The Genesis of Creativity and the Origin of the Human Mind explore this question, in essays and studies from a range of specializations and backgrounds. Experts on culture, art, and evolution come together to describe, analyse, and interpret the origins of artistic creativity and the anatomical and neurological structures that contribute to it. Essays focus on the origins of art in the Upper Palaeolithic as well as on manifestations of artistic creativity in pre-literary societies and tribal cultures that have been preserved to the present day. The interdisciplinary approach to the topic accentuates the wide array of possible methodologies and interpretations of artistic manifestations under particular historic and cultural contexts. [Elements of cultural anthropology] / Map(s) in Publication / 19 illustrations, 2 maps / Author: Martin Soukup / / 2015 / 279 s.
Abstract: Kniha Základy kulturní antropologie představuje původní českou práci věnovanou kulturní antropologii z hlediska výkladu jejího předmětu a systematiky. Autor se zaměřil na vysvětlení základních antropologických subdisciplín, klíčových tematických okruhů, pojmů a metod a technik výzkumu. Kniha je určena zejména studentům antropologie, sociologie, etnologie, psychologie a archeologie a všem dalším zájemcům, kteří se chtějí seznámit s kulturní antropologií jako holistickou a komparativní vědou o člověku a kultuře. Anthropology and Melanesia / Map(s) in Publication / ca. 60 maps / Author: Martin Soukup / / 2014 / 664 s.
Abstract: The subject of the work is a analysis and interpretation of certain developmental changes of anthropology in the context of field research previously conducted in Melanesia. Particular attention has been paid to various anthropological research projects and to the various cultures of Papua New Guinea. Methodologically the author’s work rests on the analysis of primary sources. Náboženství v ruské kultuře / Map(s) in Publication / 4 maps / Author: Hanuš Nykl / / 2014 / 372 s.
Abstract: Rusko je z náboženského hlediska jedinečnou zemí. Kromě postavení největšího pravoslavného státu světa má primát i v dalších oblastech. V Evropě je státem s nejvyšším počtem muslimů. V Rusku se také nachází jediná autonomní součást evropského státu, která má převážně buddhistický charakter (Kalmycko). Před revolucí mělo Rusko nejpočetnější židovskou komunitu na světě. Tato země je však bohatá i na další pozoruhodné náboženské jevy. Předkládaná publikace hovoří o fenoménu pravoslaví a jeho hlavních kategoriích (čas, bohoslužba, ikony, obřady), seznamuje s uzavřeným světem starověrců a podává celistvý přehled o hlavních náboženstvích dnešního Ruska. Od Hirošimy po Bělehrad. Válka a mír v druhé polovině 20. století / Map(s) in Publication / 6 maps / Author: Jan Eichler / / 2014 / 273 s.
Abstract: Monografie Od Hirošimy po Bělehrad. Válka a mír v druhé polovině 20. století se věnuje válečným a diplomatickým událostem druhé poloviny minulého století, autor jednotlivé události analyzuje na základě teorií R. Arona a J. Galtunga. Ústředním námětem publikace je vývoj míru a války, teoretické proudy (realismus, idealismus, konstruktivismus a kritické teorie) a jejich význam pro hodnocení dějin 20. století. Klíčovou roli v analýze období studené války i tzv. globalizace sehrálo Galtungovo pojetí negativního a pozitivního míru – autor vymezuje válku a mír jako dvě základní podoby mezinárodního uspořádání. Kniha bezprostředně navazuje na monografii Od Sarajeva po Hirošimu. Válka a mír v první polovině 20. století, která se podrobně zaměřila na světové války a meziválečné období. Abstract: This study deals with Kabyle pottery representing traditional Berber craftsmanship and artwork that has been developing for centuries in the territory of modern-day Algeria. The study focuses on Kabyle pottery, perceived as a specific set of artefacts, and on its manufacturers − Kabyle women. The manufacture of Kabyle pottery is artisan handwork, tabooed in many ways; it has been passed on from mother to daughter. Women have learnt know-how and practical skills concerning pottery manufacture through oral tradition and everyday experience. Kabyle pottery shows a specific feminine style, uncovering thus the Kabyle women’s mentality and their secret knowledge hidden in traditional society. The study describes and analyses phases of Kabyle pottery manufacture, its typology and motifs, which are presented as an independent semiotic system. The origin of Kabyle pottery still remains in a shroud of mystery. On the one hand, Kabyle pottery exhibits traits of autochthonous culture; on the other hand, it has also absorbed some foreign cultural influences. At present, Kabyle tribes strengthen their cultural identity and return to their cultural roots through the production of traditional Kabyle pottery. Moreover, motifs of Kabyle pottery inspire contemporary artists. This study further aims to describe, analyse and interpret Kabyle pottery as a unique demonstration of Berber culture which is an inseparable part of the Kabyle women’s world. Od Sarajeva po Hirošimu. Válka a mír v první polovině 20. století / Map(s) in Publication / 8 maps / Author: Jan Eichler / / 2013 / 230 s.
Abstract: Autor sleduje na základě teorie Raymonda Arona a Johana Galtunga události první poloviny minulého století, především válečné konflikty a politická vyjednávání s nimi spojená. Autor se věnuje rozboru hlavních příčin válek a analýze vývoje mezinárodních vztahů s důrazem na problematiku míru a války. Analýza tohoto období zahrnuje přehled jednotlivých teoretických škol zabývajících se mezinárodní politikou a komplexní pojednání o proměňujícím se politickém ovzduší počátku 20. století a jeho dopadech na strategické uvažování čelních představitelů světové politiky. Klíčovou roli v této analýze sehrálo Galtungovo pojetí negativního a pozitivního míru – autor vymezuje válku a mír jako dvě základní podoby mezinárodního uspořádání. Félicien Rops - enfant terrible dekadence / Map(s) in Publication / 5 maps / Author: Barbora Půtová / / 2013 / 272 s.
Abstract: Výpravná umělecká monografie Félicien Rops: enfant terrible dekadence je první původní českou monografií věnovanou životu a tvorbě jednoho z hlavních představitelů evropské výtvarné dekadence a symbolismu, která ho zasazuje do kontextu těchto hnutí. Publikace komplexně přibližuje celý rozsah jak volné, tak grafické, časopisecké i knižní ilustrační tvorby tohoto belgického grafika, ilustrátora a malíře druhé poloviny devatenáctého století. Prostřednictvím pečlivých analýz a reprezentativního obrazového doprovodu tak čtenář získává možnost ponořit se do Ropsova světa, ve kterém je krása obnaženého ženského těla zasazena do v té době tabuizovaných sexuálních, literárních i sociálních souvislostí. Exotic Charm of Cuisine of Malaysia / Map(s) in Publication / / Author: Jaroslav Olša / / 2013 / 144 p.
Abstract: This is the first time that a Malaysian cookbook is published in the Czech Republic. The book might be readers’ first encounter with Malaysia and it presents the uniqueness of Malaysian dishes from all parts of this beautiful tropical country. In the main part of the book, the lover of the Asian cuisine can find 50 original recipes, selected carefully so that they can be prepared at home while using ingredients available outside Asia. Abstract: This publication derives from a research, which was conducted in 2009 and 2011 in the Uruwa Valley, Morobe province, Papua New Guinea. The purpose of the book is to describe how the students from the Yawan primary school understand their culture using visual representations in their own drawings. The book also includes information about the Nungon community, a historical and a cultural overview to indicate what factors determine the perception of their culture. Abstract: The objective of the paper is a presentation of the changes of family life in the selected communities of Uruwa valley, Papua New Guinea (Morobe province). The paper is based on a research the author carried out in the Yawan community (2009, 2011).